Wherever you go in Goa, it is difficult not to find dogs roaming the streets and lounging about. Besides these, you find cattle wandering with no one to claim responsibility for them. Cats proliferate in fish markets. Hunger, thirst, disease, injuries and blatant cruelty are the lot of these animals. The scenes evoke a sense of shame at the lack of concern for these poor creatures. We show ourselves to be a populace thoroughly deficient in the area of empathy. Thankfully there are some among us who are willing to speak and work for these mute creatures. Of the many animal welfare organisations we have in Goa, there is one that is singular in its approach to rescuing animals. Gomantak Pashu Rakshak Sanstha (GPRS) is Sanskrit for Goa animal protectors’ society. GPRS has five trustees with past experience of working with animals. Tracie Potts, Grace Kare and Dattaguru Naik, who manages the administrative work, are three of the five trustees. There are volunteers that help out with the animals, social media, fund raising and donations of vital items. Their veterinarians are registered in Goa and from around Margao. GPRS also has a veterinary medical assistant on hand. The whole purpose of this organisation is to work for animals but on a limited scale, thus problems observed among the bigger NGOs that take up animal rescue activity do not prevail at GPRS. GPRS is the only non-profit animal rescue organisation that has taken up the cause of teaching children to be compassionate towards animals. This aim is one of the reasons for the organisation to unencumber itself of excessive focus on animal welfare alone. The attitude that is instilled in most young people nowadays, is, ‘It’s every man for himself’, and they  are trained to concentrate on furthering their own interests. Empathy and compassion are no longer part of their character. The necessity to catch them young was observed by GPRS and therefore they developed the Learn Centre to educate children about animals and adopting a compassionate manner towards them. Long term programmes are conducted with the children (8-10 years of age) of a month to six weeks, usually during the time from July to September as it is the beginning of the school year and children are not distracted by preparation for exams. They also cover classes for a short time during the month of November. Every week for about forty five minutes exercises are conducted; there are PowerPoint presentations, storytelling, assignments are given or videos are shown to build up compassion. Books, posters and other material are handed out as well to strengthen positive behaviour towards animals and humanity as a whole. The members of GPRS believe that inculcating compassion for animals would translate into compassion on a wider, far reaching scale. ‘We are born with all these positive things but over time these things are wiped out. So I believe that the way forward for animal welfare and for the environment and just for us to get along with each other, is to learn compassion and to have compassion in our minds and in our thoughts. Then everything will take care of itself. I know not every single child will start thinking this way but you plant the seed and see what happens,’ says Grace Kare. At present it is the smaller government schools that have been covered by The Learn Centre. These children are imparted practical information such as how to avoid a bite and first aid for bites. Vidya Vikas High School is next on their list but the approach to the more affluent children would have to be modified to suit their background. Bigger animal rescue organisations constantly run into problems regarding accommodation for the animals. They are often compelled to release the animals from the shelters or euthanise them. Commitment to too many areas such as vaccination, sterilisation and adoption drives, sheltering and treating a large number of animals for medical problems, can enforce considerable financial, physical and emotional duress, not to mention the mountains of paperwork to be dealt with. 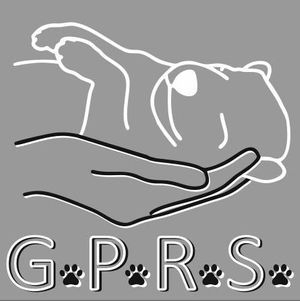 GPRS operates on a local level and answers calls to rescue distressed animals. These are usually strays that hover around shops and houses and have been unofficially adopted by the proprietors and homeowners. They are willing to invest in the animal. Grace says, ‘It is a way of bringing out their compassion.’ These dogs and cats are picked up, treated medically and returned to the spot they had been picked up from. This is called sponsored animal welfare, which helps to create a bond between the people, who have spent money on the animal’s treatment, and the animal. If there is nobody to care for the animal, it is kept back at the shelter in Curtorim and a search is carried out for the ideal family for the animal. There are a couple of dogs that have become permanent residents of the shelter. The shelter is a small part of a larger kennel facility and is rented. It is hoped that GPRS will soon have its own space to provide a sanctuary for the dogs and cats. Some animals are cared for wherever they may be found. Dogs with alopecia are given cheese or boiled eggs with medication injected into them to make it more palatable to the strays. The more grievously injured ones are given special treatment and even surgery if necessary. Emergency treatment for life and death situations is not taken up by GPRS. If they happen upon such cases they are sent directly to a veterinarian. Barney is a little puppy that was brought in with a maggot ridden wound. He is healing well but he has trouble relating to humans right now. His antics with Pasha, the young Doberman, are worth watching. When Pasha lies down to nap, Barney pounces on her playfully. Pasha, in turn, when in a happy mood will gently hold Barney’s head in her mouth for fun. Then there is Mango, the kitten, brought in with a fractured leg. This adorable kitty is better now and looking for a home and a forever family. Zena, was rescued from owners who wanted to put her to sleep because they had another dog to replace her. Roxy lost her way after running away from home due to the noise of firecrackers during Diwali. Bianca the beach dog is successfully recovering from severe demodectic mange. These are some of the inmates of the shelter at GPRS, happy and secure in the knowledge that there is someone to care for them. Sponsor a medical procedure or treatment. Donate items for practical use such as towels, newspapers, etc. Like GPRS on Facebook and spread the word about their good work.